"I've worked overseas as a PE Teacher in Cricket Development, and now with the Australian Youth Ambassadors for Development (AYAD), which is quite an achievement for me." "My interests include academia, sport, music and interacting with young people, so it became clear that I wanted to become a teacher. I enjoyed the practical nature of the course, the small classes that let me develop strong relationships with classmates and teachers, and the extracurricular opportunities. Most of all, I enjoyed being introduced to new areas of interest and learning." "Highlights of the course include friendships, opportunities to expand as a person, unique employment opportunities, and opportunities for more study, and practical skills that can be used recreationally. The biggest highlight was doing teaching practicum in the Cook Islands. A group of 22 university students descending on a tropical island in the middle of the Pacific for a month is bound to be a hell of a lot of fun! Meeting great people, travelling and teaching in a different context, enjoying the beauty of the Pacific and making some great new friends, was a brilliant experience." "My degree Outdoor Education components have given me a great deal of practical and interpersonal skills I may have otherwise not learned. It also underpinning theories including those of character expansion and building resilience have been particularly important." What aspect of the course has best prepared you for employment? "My studies have helped me learn more about other cultures and to give me the chance to travel and work in unique places. 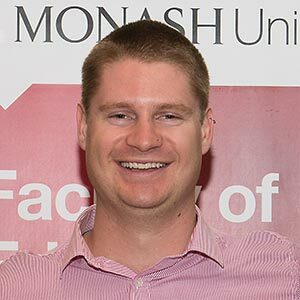 I couldn't be more pleased or grateful for the experience I had at Monash, and - having recently enrolled to study Honours off-campus while I work - the ongoing enjoyment that I am gaining from my continued study."